Corey Templeton Photography: Portland Mayoral Election 2011 - Social Media Standings Round 2! 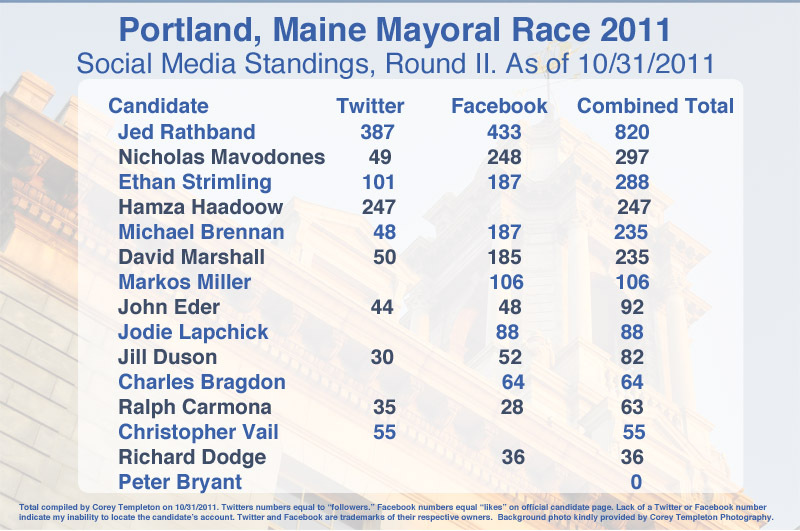 Portland Mayoral Election 2011 - Social Media Standings Round 2! 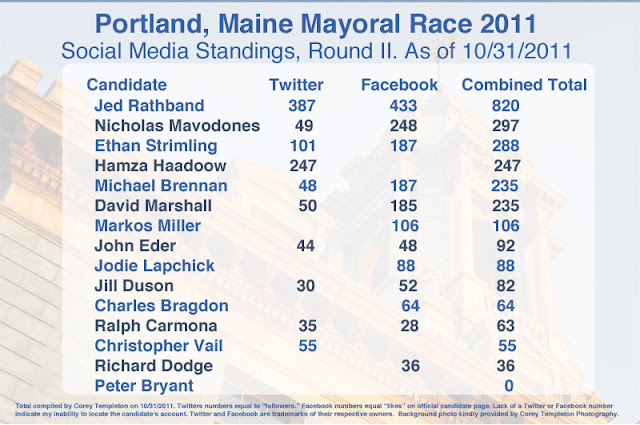 Here is the latest Mayoral Social Media Standings graphic, current as of 10/31/2011. I have put the 15 candidates in order of their combined amount of Twitter and Facebook numbers. 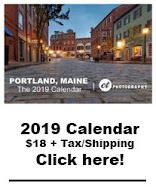 This is still a photo blog, but as I have said before, I like to share my thoughts on other Portland related topics from time to time. This will likely be the last mayoral social media graphic I make before the election. I might make one after the votes are counted just to compare the results versus social media totals. Social media, such as Twitter and Facebook, are not that reliable in predicting a candidate's success at the polls. The numbers are interesting to look at though (for me at least). Jed Rathband has run the most successful online campaign, as evidenced by his social media presence and overall polish of his websites. Peter Bryant appears to have run the least successful online campaign. 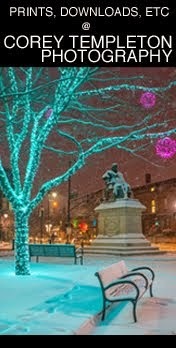 Jodie Lapchick, who is a marketing strategist and who is running on the idea of better promoting and marketing the city, should be one of the leaders in social media success. Michael Brennan and David Marshall are equally savvy with the social media.